PhraseExpress eliminates repetitive typing and manages frequently used text snippets in customizable categories. Boilerplate templates can be stored together with bitmaps and RTF or HTML text formatting. The unique text prediction feature watches out for repetitive text patterns and offers to auto-complete such phrases. Smart algorithms analyze and learn your writing patterns, and suggest the most relevant ways to complete phrases and sentences. The Autotext feature allows assigning a frequently used text such as your address, your signature or a common phrase to a much shorter abbreviation. Whenever you type in the assigned abbreviation PhraseExpress will automatically replace it with the original text. For example, "ty" will be expanded to "thank you very much. Existing MS Office AutoCorrect entries can be imported for use in any Windows program, not just MS Office. PhraseExpress automatically recognizes unwanted Autotexts and suppresses the text replacement the next time you enter the Autotext. The Clipboard Cache enhances the native Windows clipboard functionality by remembering all items that are copied to the clipboard and storing them for later pasting. PhraseExpress can optionally remove any text formatting from the clipboard contents. Powerful macro functions can add dynamic contents to static phrases such as the current date, counters or additional manual input. Phrases can be linked or nested. Macros can also launch programs or open documents triggered by shortcuts. Entering 'calc' may open the Windows calculator program or striking the hotkey CTRL-F8 may offer a Google search query of a highlighted text on-the-fly. PhraseExpress is available in three editions Standard, Professional, and Enterprise and is free for personal use. If using features reserved for one of the commercial editions, or if PhraseExpress is used in professional environments, license reminders are shown after 30 days. The trial period allows you to explore all features before making a purchase decision. 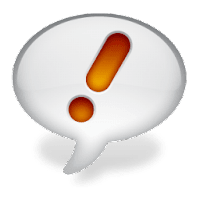 Disclaimer: Direct downloads for the lastest version of PhraseExpress 14.0.138 are provided by the official software's author, we can't guarantee safety, availability or download speed. Moreover, we don't and we won't provide any pirated/illegal versions or tools. We recommend you to avoid it as these methods can harm your device. If you like the software, buy it to support the developers. (We provide software discounts for many worldwide brands).